NVOCC: Our primary services are weekly NVOCC carriages to the islands of Aruba and Curacao. We also have regular carriage to Rotterdam, the major trading and logistics port of the Netherlands. Container Receiving and Loading Services: For higher-volume customers, we also provide receiving and loading services with full container documentation and handling services. N.B. : Loads including hazardous cargo may be accepted and shipped, depending on the limitations presented by variations in carrier rules, and the determinations of the master of the vessel to be used in shipping. Complete documentation and processing for each vehicle to be exported, as per the regulations set out on cbp.gov/. 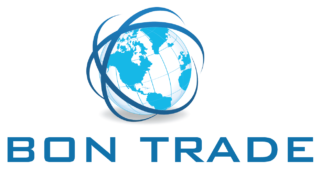 Small to medium size orders: Bon Trade’s extensive network of destinations (from Europe to Australia with numerous points in between) translates to competitive rates from our location in Miami, Florida. E-mail transport@bontrade.com for more details. Cargo insurance: Available on all orders in the form of individual certificates at competitive rates. In addition, Bon Trade offers standalone coverage without shipments. We accept all major credit cards, and can also accept payment via PayPal. We also accept PayCargo payments in certain situations.